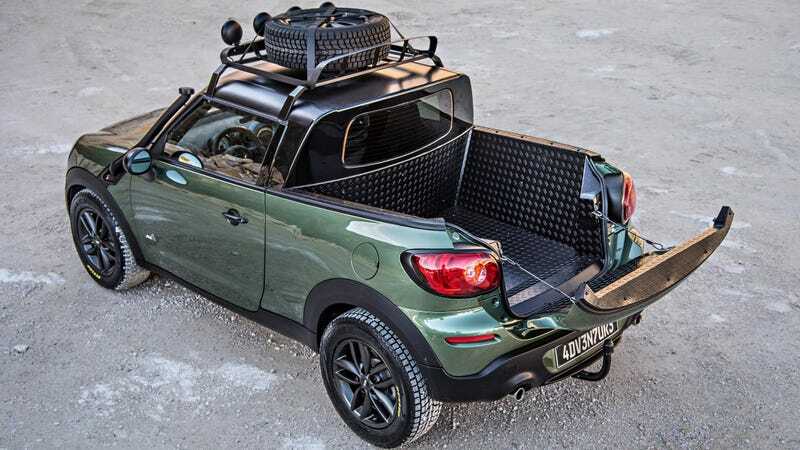 Built by students and their instructors at the BMWs plant in Munich and Dingolfing, the Mini Paceman Adventure is road legal, off-road ready and unfortunately, not intended for production. What a shame, since it's the first Paceman we actually like. The team used a Paceman Cooper S a base with its turbocharged 184 hp engine and all-wheel drive, then modified the suspension and put a bunch of unique features on the car to make it as versatile as possible. With its short overhangs, modified chassis, extended ground clearance and snorkel-like roof level air intake, this Paceman can even cross small rivers. The additional lights mounted on the front crossmember of the roof rack make for some late night off-roading, with an extra set of tires to keep you rolling.